One goal for education in Missouri is to have all children graduate ready for college and career. You can help Missouri achieve that goal. Teaching is an extremely rewarding career and the following steps will help you become a teacher in this great state. In Missouri, teachers are certified in various areas of early childhood, elementary, middle, secondary, and special education. One of the first things to decide on is the age group of the children you would like to teach. Do you prefer working with younger kids or older? For example, if you prefer working with younger children, you can consider getting an elementary school certification. The choice is yours. Where does your heart lie? The Missouri Department of Elementary and Secondary Education hosts useful information on schools, teachers, and students in the state, which could help you make your decision. Just like other states, Missouri requires that state certified teachers possess a Bachelor's Degree and complete a teacher preparation program from an accredited institution of higher education. If you do not have a Bachelor's Degree yet, you can enroll in a blended program which would allow you to complete the requirements for a Bachelor's Degree and Missouri educator program simultaneously. These programs are ideal for those who know going into college that they want to become a teacher. If at this point you already have a Bachelor's Degree, you can complete a teacher preparation program through an alternative or post-baccalaureate route. If you plan on teaching in a public school, you will be required to earn your educator certification. This certification is usually obtained through the completion of a teacher preparation. Teacher preparation programs could be completed online or on an actual campus. The program must be accredited by the state and by CAEP. CAEP is a combination of two former accrediting agencies, NCATE (National Council for Accreditation of Teacher Education) and TEAC (Teacher Education Accreditation Council). Teacher preparation programs in Missouri are often organized as follows: coursework and fieldwork. The coursework and classes you take will usually focus on subject-based teaching methods, differentiated instructional strategies, assessment, technology integration, and more. Fieldwork includes classroom observations, internships, student teaching, or a combination of all three. Student teaching or interning usually requires a preservice teacher to work under the supervision and guidance of a mentor teacher. The preservice teacher will act as the classroom teacher for a specified amount of time planning and executing lessons. The following are some alternative routes to teacher certification in Missouri. American Board of Certification for Teacher Excellence (ABCTE) route: This route is for individuals who already have a Bachelor's Degree in an unrelated field. At this time, the state of Missouri only accepts certificates through the ABCTE route in the areas of Middle or High School Mathematics, U.S./World History, English/Language Arts, Biology, Chemistry, General Science, Physics, and Elementary Education. Out-of-State Certified route: This route is for teachers who hold a valid teaching certificate from another state. For this, verification of certification from the other state must be provided to the Missouri Department of Elementary and Secondary Education. Individuals could qualify for an initial or career certificate, depending on the number of previous years of teaching experience. Temporary Authorization route: This route is for individuals with a Bachelor's Degree in a content area (such as Mathematics or English). With this route, the individual will take a specified amount of self-directed courses (no more than 24 units) and meet specified competencies. In addition, the candidate will have the opportunity to teach for two years while being mentored by a school district. Lastly, the candidate will be required to pass at least two exit examinations. When all the requirements are met, the candidate will be able to receive his/her initial certification. The state of Missouri is currently in need of high quality Career and Technical Education (CTE) professionals. With that said, the state seeks qualified Career and Technical Education teachers. Many programs in the state help prepare teachers to become highly effective educators as they prepare their own students for life and careers. Missouri's Career and Technical Education programs merge academics and occupational skills training. This combination allows students to practice skills and learn from professionals about possible career paths. Training programs are often offered in Agriculture, Business, Marketing, Family and Consumer Sciences, Health Sciences, Cooperative Education, and Skilled Technical Sciences. Throughout the 2013-2014 school year, almost 250,000 Missouri school students and adults participated in Career and Technical Education training programs. These programs took place in career centers, high schools, community colleges, as well as four-year colleges and universities. Participation in CTE programs continues to grow throughout the state. Chris L. Nicastro (Missouri Commissioner of Education) said, "In today's globally competitive world, it's essential for students to have the necessary skills to succeed when they enter the workplace." For more information about CTE in Missouri, you can visit http://dese.mo.gov/college-career-readiness/career-education. The Missouri General Education Assessment (MoGEA) is to be taken as a requirement for admission into undergraduate educator preparation programs in the state. This is the official assessment required into professional education programs in the state's colleges and universities. The test includes sections on English Language Arts, Writing, Mathematics, Science and Social Science. This assessments began in September of 2013 and has replaced the CBASE test. The MEP is designed to assess a person's work style to support the development of effective educator work habits. There are no right or wrong answers when it comes to assessing a teacher candidate's work style. The content area assessments are exit assessments. They should be completed in all areas of desired certification. The Missouri Content Assessments took place of the Praxis II as of September 2, 2014. 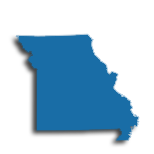 The Missouri Content Assessments replaced the Praxis II beginning September 2014. If you passed the Praxis II Content Assessment on or before August 31, 2015, you will be allowed to use your score until December 31, 2016. The MoPTA is required for certification by candidates from the state of Missouri seeking certification for teaching. The assessment is aligned with Missouri's Teacher Standards and Quality Indicators and is to be taken during a candidate's clinical experience. In order to develop more effective teachers in the classroom, the MoPTA was designed to assess a pre-service teacher's instructional capabilities before receiving a license. The assessment allows individuals to identify strengths and areas for improvement as well as planning for professional growth. The assessment is made up of four tasks which include written commentary and submission of required documents and artifacts. Tasks are completed by uploading associated commentary and artifacts to an online submission system. There are two versions of the MoPTA: a video option (MoPRA-V) and a non-video option (MoPta-NV). The non-video option is reserved for student teachers who are not permitted to record videos while teaching. Teacher candidates can check with their educator preparation program to determine which assessment is required of them. There are certain requirements that must be met before applying for licensure. The Compendium of Missouri Certification Requirements Index provides teaching candidates with the certification requirements for each subject area and license type in the state. Background checks are also required before one can be licensed as a teacher in Missouri. For more information, visit the Missouri DESE Fingerprint Information Checklist and background check FAQ for resources regarding how to obtain background clearance to become a teacher in the state of Missouri. Once you fulfill all the requirements and your application is processed, you will be ready to begin your career as a teacher in Missouri! You will have the power to help children graduate ready for college and career. Applicants looking for teaching jobs in the state of Missouri are encouraged to visit the Missouri Department of Elementary and Secondary Education website. From that website, applicants can enter the Missouri Public School District Jobs (MOREAP) portal. Current needs within the state are for teachers qualified for foreign languages, sciences, math, language arts, and special education. Successful candidates may join a union such as the Missouri State Teachers Association (MSTA) or the state chapter of the National Education Association. Also available is the American Federation of Teachers - Missouri chapter. Teacher unions advocate public recognition and support for the work that teachers do every day. Teachers wishing to pursue an alternate employment environment are welcome to apply to any of Missouri's 702 private schools. Even though private schools are not required by law to hire certificated employees, many school prefer to do so. More than three-quarters of the state's private schools have a religious affiliation and some are gender-segregated, or favor a Montessori philosophy. Finally, teachers who retire from public positions are eligible to collect a pension through the Public School & Education Employee Retirement Systems of Missouri (PSRS/PEERS). The table below lists the number of public school teachers in Missouri by grade level during the 2012-2013 school year. There are more than 580 private schools with an estimated 8,200 private school teachers in Missouri. The table below details the number of teachers by grade level during the 2011-2012 school year. High-quality professional development for teaching staff has proven to increase student achievement, as well as boost salary and advance teacher career goals. In order to ensure that professional development opportunities are relevant and of superior quality, teachers are encouraged to source offerings through appropriate district channels. Ensure that offerings are accredited, data-driven, and promote collaboration. Collaboration is integral, even if the platform that the offerings are delivered on are independent (i.e. online professional development offerings should still promote collaborative efforts). Missouri's State Department of Education plays an active role in helping teachers engage in professional development. The Department of Education provides online resources like Missouri Observation Simulation Tool (MOST), Model Evaluation System,and MyLearningPlan.com. In addition, the department functions as a database for helping teachers find professional learning communities and regional professional development centers. Teachers are encouraged to network with colleagues and Missouri's Exemplary Schools in order to gain information regarding appropriate and relevant professional development opportunities. 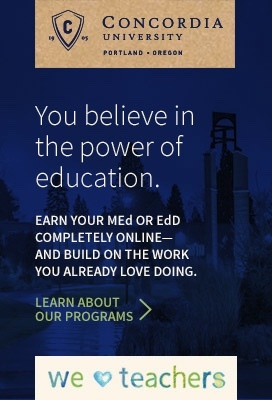 If you choose to earn a master's degree and you'll not only meet the professional development requirements for your Initial Professional Certificate (IPC) or Career Continuous Professional Certificate (CCPC), after ten years of teaching or after earning National Board Certification, you'll be exempt from all professional development requirements. While you can satisfy the 30-contact-hour requirement in many ways, pursue your master's degree during this time and you'll meet professional development requirements after taking just one class (1 semester hour - 15 contact hours). Then, once you hold the CCPC, you'll be required to complete at least 15 hours of professional development annually. However, if you hold a master's degree and complete at least 10 years of teaching experience or earn National Board Certification, you are exempt from any further professional development requirements during your career. According to the Missouri Teachers Association, educators earn more if they hold a master's degree. For example, in 2017-2018, teachers with a bachelor's degree earned an average salary of $33,811-$43,307, while those with master's degrees earned an average salary of $36,842-$55,549.